Dota 6.58b next stable map? After 2 months Dota 6.58 map is released with a huge list of changes. IceFrog did a very hard work on making Dota 6.58 map thats why it took 2 months after Dota 6.57 map. 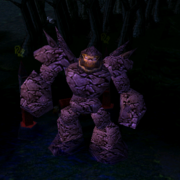 And now Dota 6.58b is released with balancing and bug fixed. Now there is a chance of Dota 6.58b to be next stable map.